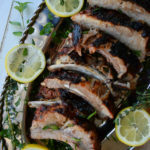 Roasted low and slow, then glazed in a sweet and tangy marinade, this pork loin is an elegant and fuss-free meal, perfect for weeknights or weekends. 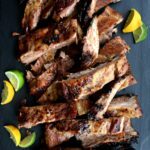 Pork is always a favorite dish for me. There are so many ways to prepare it. It is always an exercise for the imagination. There is no wrong or right way- just the delicious way!! This version was well received and the sauce is very tasty. 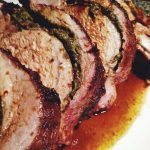 It is an easy dish to prepare and perfect for a weeknight or special occasion. Combine the salt, pepper and olive oil and rub the meat. Place in a baking pan and bake for 30 – 35 minutes. 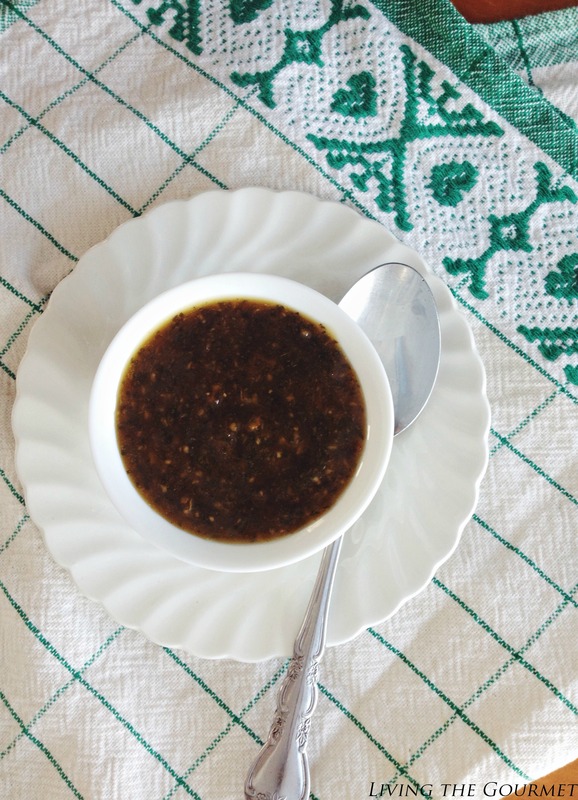 Combine all of the ingredients for the marmalade sauce in a food processor and process. Place 3 – 4 tablespoons of the mixture in a small bowl. After the meat cooks for 30 -35 minutes rub the meat with this mixture and place back in the oven to finish cooking; reserving the rest of the sauce for when the meat is cooked. Place the rest of the marmalade sauce in a small pan and simmer on a low heat; stirring often, for about 10 minutes. Serve this with the cooked pork. Cook the meat 20 minutes per pound at 325 degrees or until the juices run clear. Let the meat rest after removing it from the oven for about 10 minutes before slicing. Serve with the warm sauce. To me, the sauce looks even better than the pork! I love your pretty green and white cloth. This sauce looks so good! And this meat, yum! 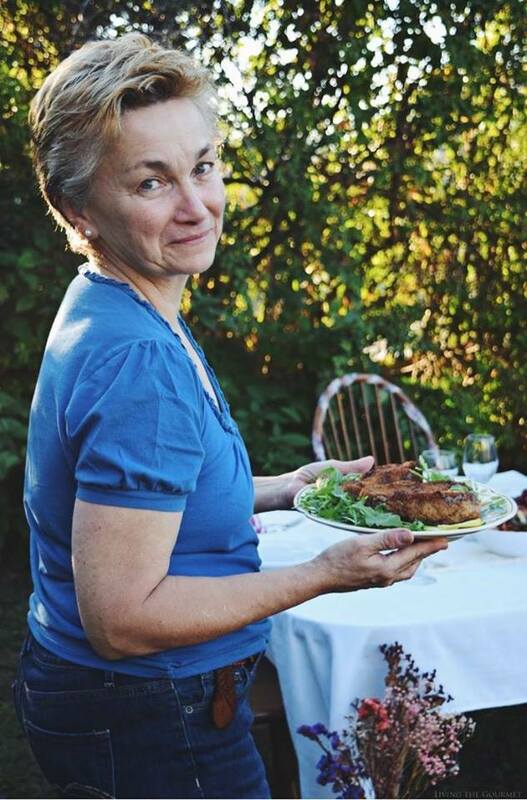 I know I would love your pork loin…the sauce with the orange marmalade sounds terrific. 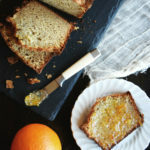 I love the ingredients that are mixed with the marmalade. This is a must try and soon. Thanks for sharing. 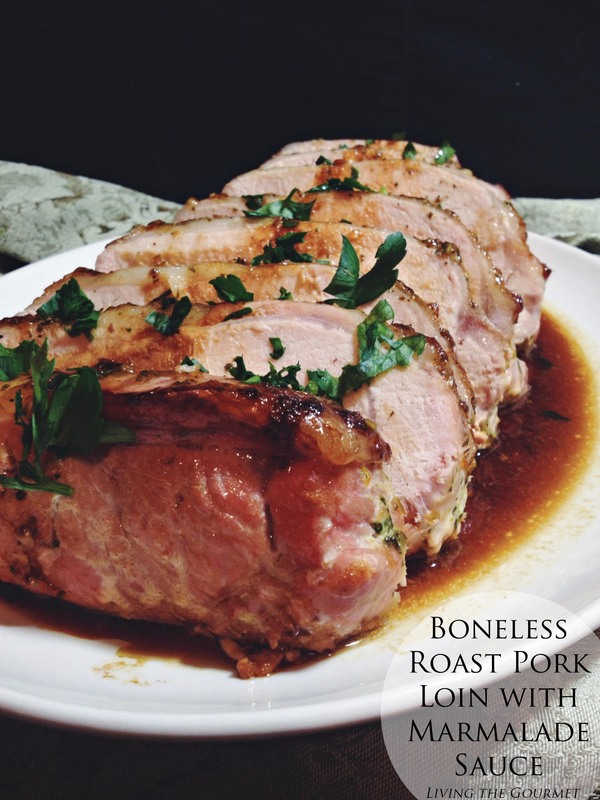 Love this beautiful pork roast! 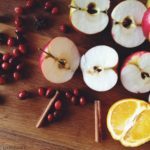 Stopping by from Sweet & Savoury and pinning to Pinterest! I'd like to come over and have some of this with you for dinner - it looks so good! 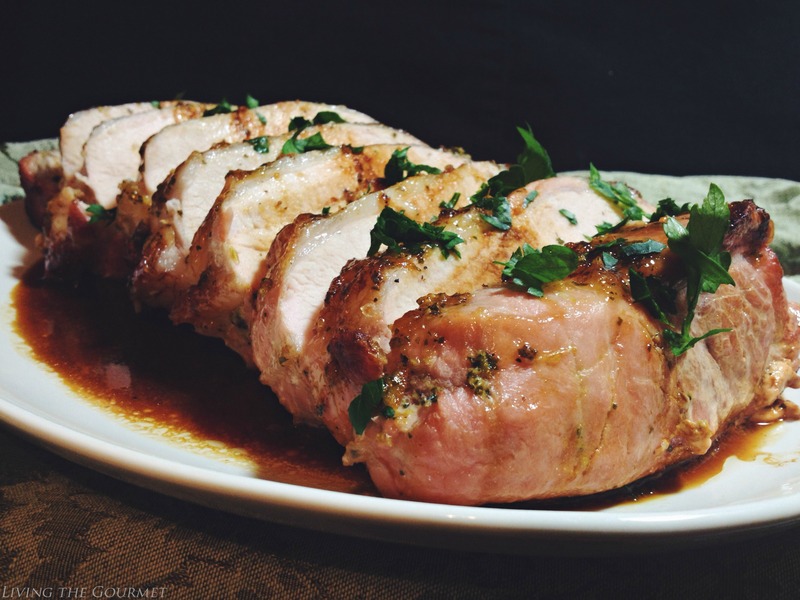 I love a good pork loin and this one looks moist and flavorful. This looks divine! 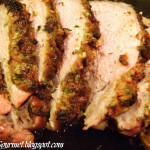 We love pork roast, so I must try this at home. What a great sauce to go with this pork, it looks like a lovely meal. Thanks for linking up to Sweet and Savoury Sunday, stop by and link up again. Have a great day!! I have a question I'm allergic to soy and I'm wondering if a different sauce can be substituted for the recipe and if so which sauce?